When I was in college, one of my good friends kept trying to get me to watch anime. I have pretty hazy memories of all of them until he showed me Here Is Greenwood and it all clicked into place. 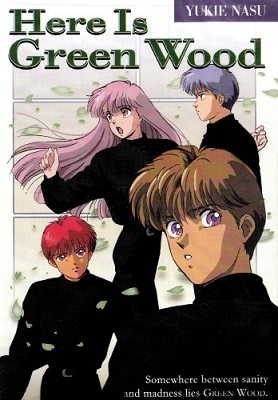 Here Is Greenwood is a 6 episode anime from the mid-’90’s that even my most anime-obsessed friends don’t know about. Whenever I bring it up I’m met with blank stares which makes me realize I totally have an inner hipster. It’s always nice to “be in the know” about something, right? So let me bring you up to speed! 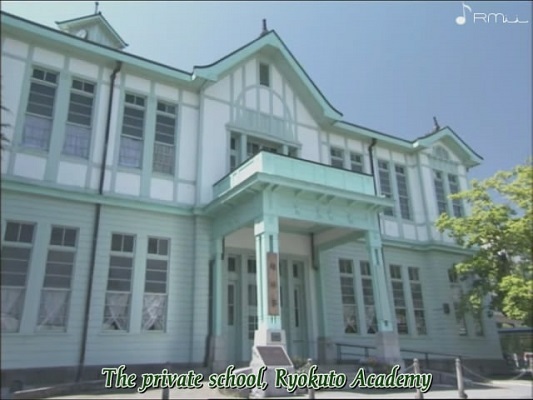 Here Is Greenwood revolves around a group of boys that attend Ryokuto Academy, an all- boys boarding school, and live in a dormitory known as Greenwood. That’s pretty much it. 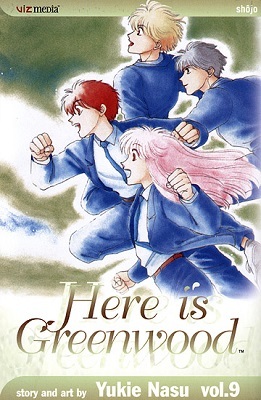 The main character, Hasukawa, is a late arrival due to a health issue and everyone who lives in Greenwood is kind of crazy. 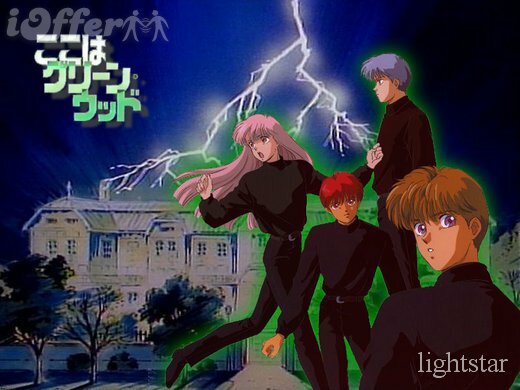 There’s a guy who lives with his motorcycle, another one who looks like a girl, and then the somewhat diabolical dorm leaders who just enjoy tormenting Hasukawa. The characters are lovable and strange but exceedingly human. Its comedy comes across smarter and more adult. It’s full of cultural references and it relies on the viewer being intelligent and engaged, not someone who requires a lot of spoon-feeding. Here is Greenwood only had a limited run of subtitled VHS versions (fortunately, my friend who introduced it to me copied his for me). For years, all that I could find were dubbed versions and then by around 2001 even those disappeared. I would occasionally poke around online but came up with very little except sites in Japanese. Then in 2004, I had a conversation with another friend who was huge into anime. He, like everyone else, had no idea what I was talking about but was very intrigued. Then one morning I got a frantic phone message. He was in a Best Buy staring at 2 copies of Here Is Greenwood on DVD in their anime section! He picked up both of them. Flash forward to a couple weeks later, I’m in a Borders and notice that they’re carrying manga. I wander over and what do I find on the shelf? You got it. Nine volumes of Here Is Greenwood manga! This goofy little anime that I fell in love with back in 1998 was finally out in the world and easy to get your hands on! But here’s the thing about Here Is Greenwood – It’s not about robots or vampires or space cowboys or witch hunting or adorable little child assassins. It’s about friendship and family and making mistakes and going to school and all the things that go along with… well… all those things. It’s delightful and quirky and if you’re looking for something different, I can’t recommend it enough. And just when I thought life could get no better than the manga and DVD that have been living in my possession over the last 8 years, I discovered a live action version of the show came out a handful of years ago…. And it’s just as great as I had hoped it would be when I found out about it. 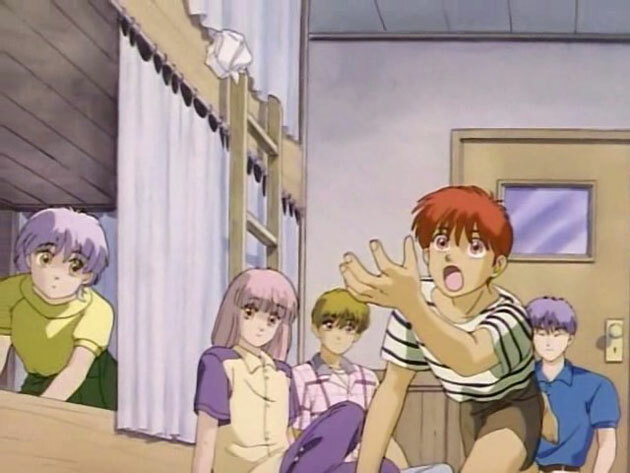 They shoot it like a live action manga with the dialogue, the way the shots are framed, and even the gestures the actors use. I’m 4 episodes in and it looks like they are actually doing the full manga series instead of just snippets of it like the anime did. The online site provided above is all fan subtitling and they appear to have done a great job. Check it out when you have the time. I have a friend living in Japan right now and I’m hoping he can hunt me down a real copy! The real life Greenwood looks like a pretty awesome place to spend your high school years. Do you have a favorite anime? I’d love to hear about it!